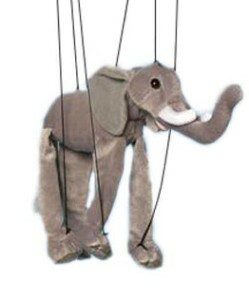 It seems as though, the GOP can’t help being President Obama’s puppet on a string. President Obama has come out this week in announcing his intension to tighten gun laws concerning background checks at gun shows and internet purchases. And right on cue, the GOP presidential candidates, along with 2nd Amendment advocates trot out on the stage and play their part in the puppet show. Immediately, the conspiracy theories began. Everything from, “people who want to give a gun to their grandchild will have to have a dealer’s license”, to the extreme of, “this is the beginning of gun confiscation”. From what I have heard and read, including watching the President in a live Town Hall on CNN, the proposals include, insuring people who sell guns, at guns shows, as a business, would be required to have a dealer’s license, and to perform background checks. This would also include sales over the internet. Contrary to those who would have you believe, that this is either gun confiscation, or even a national registry of guns for future use to confiscate guns, all I have heard, is that dealers at gun shows would be required to operate under the same restrictions, as do your local gun shops. I have to tell you, I do not understand why the GOP, and the gun advocates, are so willing to play the role of the puppet. In fact, there was a time when the NRA was in favor of background checks. Can’t they see, every time they come out, and begin shouting, “TYRANNY” and predicting “marshal-law”, they are perceived as right-wing radicals, and actually give credence to those who say we need to do away, with all guns? One thought, is it possible, the President and the Democrats, like the issue of guns going into a presidential election year, rather than talking about Hillary Clinton’s record? Is it also possible, that the President is taking advantage of the out-cry of, many from the right included, who following the San Bernardino shooting, were clambering for action to prevent such things from happening in the future? But what is the real bottom line here? First, why is it wrong, or an infringement on the 2nd Amendment, to require gun show and internet dealers to abide by the exact same requirements as do gun shop owners? In what way will the expanded use of existing laws prevent me as a legal gun purchaser, from obtaining a gun? These new requirements will have no effect upon concealed carry laws, which are regulated by states and local jurisdiction. Criminals do not usually buy their guns from a local gun shop because of the background checks, so is it not reasonable to think, if they have to submit to background checks on the internet and at gun shows, then this would reduce, what is most likely a small number anyway, of criminals buying guns this way? What it would do, is reduce the number of people buying guns at gun shows and on the internet, and then selling them on a black-market. What it won’t do is, it won’t stop shootings like San Bernardino. It won’t stop criminals from getting guns. It won’t stop the husband who gets angry and shoots his wife with a legally owned gun. What the President is doing, in my opinion, is nothing more than political puppetry. The President is playing to his base, and the GOP and the far-right fringe can’t help themselves but to play their roles. Going into the election year, there is a good chance that instead of talking about jobs and the economy and national security, the GOP candidates right down the ticket, will be force to talk about guns. You want to protect your 2nd Amendment rights? Then stop acting like gun nuts. 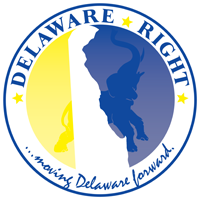 The best way to protect your rights, is to elect people who will work to protect them at all levels of government. But we can’t do that if we force them to pander to the militia types. I put this up as a way to have the conversation. I support the 2nd Amendment, so I want those who believe the President is on a path to take away our rights and our guns, to tell me how. How will the government manage to take away guns in a nation awash in guns? Let’s see if we can have a logical conversation about this. Ready, set, GOOOOO! 3 Comments on "President Obama’s Puppet?" “Possible?” That is exactly what it is; a red herring. The major issues for 2016 are the economy and ISIS/terrorism/foreign policy. And since Hillary is joined at the hip to Obama, and since Obama has failed on these issues, there needs to be a distraction. The Socialist-Democrats would like to elevate gun control, along with women’s pay, abortion, social justice and so on, because they tend to fare well on “social issue” elections. But it won’t work this time because the American people know that the economy has been weak for seven years and that the Obama/Hillary foreign policy has been a disaster. Hard-core liberals to whom social issues are major concerns will vote for Hillary even if she were under indictment. These are not the voters who matter. Who does matter is the so-called “independent” voter, particularly blue-collar workers, aka “Reagan Democrats.” Thus, the GOP needs to focus on the economy and foreign policy, and avoid being drawn in to petty debates over minor peripheral issues. I’m curious to know what your solution is. And why do you think this is a uniquely American problem? Tara, I will assume the question was for me. What I have heard coming from the White House on this issue, as to what they intend to do, as to requiring background checks at gun shows and internet sales, will not stop shootings like San Bernardino or the husband killing his wife. In both cases the guns were most likely bought legally. As to my solution? Well I would have to know what you perceive as the problem. If the problem is simply people killing people, there is no solution, man has been killing man since the beginning of time, we will never stop that. If you are talking about how do we stop people from killing people with guns? Again, I feel that is nothing more than political puppetry, a distraction, because it is an impossible goal considering the number of guns in this nation, and around the world. The Genie is out of the bottle, guns exist and people kill people. And I do not think this is a uniquely American problem. People are killing people around the world everyday. In some countries it gets labeled as genocide, in others it gets labeled war, the reason or the label is of little consequence, people are dying, in some cases guns are used. However, more background checks will not end the drug dealers in the inner city from killing rival drug dealers, nor will they end gang killings. More background checks will not as I said stop domestic violence, they won’t weed out the person who after a lifetime of being the good citizen, who owns guns legally, suddenly falling prey to mental illness and using those guns to kill a hundred people. My solution is to be prepared for my own safety, both in this world and the next. Which means to be prepared to defend myself as best I can, and to be right with my God in case I fail.